Proven quality services provided by honest & experienced professionals brings you customer satisfaction every time. York Access Control Security is a wholly owned subsidiary of York Industries, Inc. of Corpus Christi Texas. We are a group of experienced Access Control Systems professionals with business integrity grounded in Christian principles and based in the Texas, California and South Carolina regions. We have been providing high quality access control systems installation & implementation to the Hospitality and Military industries for over 25 years in North America and the world. Our business mission is honest & simple. by Seasoned professionals who value honesty & integrity above all. 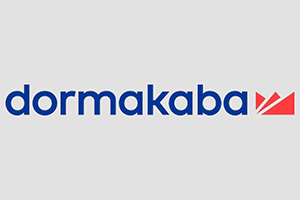 We specialize in and highly recommend DORMAKABA brands of Access Control equipment to our customers as they have proven themselves to us to be the most worthy manufacturers by far that we have worked with over many years in this business. If you have a project in mind where you will need quality DormaKaba systems installation services provided at a fair price in North America, Hawaii and the Caribbean regions then you should strongly consider us. We have a long proven track record of highly successful project completions both large and small. From 18 room boutique hotels to 1600 room Hiltons, 4000 room military bases and 2 US Aircraft carriers. We have the same goals and deliver the same results. We just cannot accept any other outcome for our valued customers and you are welcome. Thank you for your consideration and may God bless you!